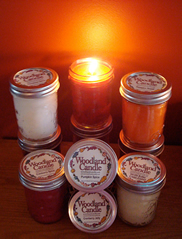 Introducing a wonderful array of fresh, hand-poured, double-scented, extra long lasting candles that will leave you wanting more. Custom-made exclusively for O2 Innovations using our own custom-blended aromatherapy essences. 8 ounces of pure delight.